You need to get regular medical treatment. Once your application for disability is received by the Social Security Administration, it is sent to Disability Determination Services (DDS) where it is assigned to a disability examiner. The examiner will request your medical records from the sources listed on your application and will make a decision on your disability based on what he/she knows from your medical records. The DDS examiner will usually never see you or talk to you during this process; he/she relies completely on your medical records. If your past medical records indicate that you are disabled, you will still need current medical records to support your disability claim. An examiner or judge will not be able to approve your disability based on old outdated records. If you attempt to get a supporting statement or RFC form from your doctor, you may have difficulty getting your physician to cooperate if he/she has not seen you recently. If you lose your medical coverage, you still need to have regular doctor appointments. You might be able to be seen at a free clinic, county health department, or emergency room. While these treatment sources are not the best, they are better than nothing. Another tip that is often overlooked is the importance of staying on your prescribed medications. If an examiner sees that you are no longer taking your prescribed medication he/she might wrongfully assume that you must be getting better. 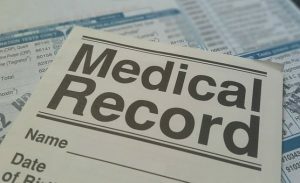 Often, if your medical records are not up to date or do not address all of your impairments that are listed on your disability application, you might be asked to have a consultative exam. These exams are paid for by DDS and are done by a doctor who is contracted by DDS. A consultative exam is not intended to provide medical treatment, but to provide an updated record of your disability. If you are asked to attend a consultative exam, do not miss your appointment, your application could be denied for failure to cooperate. Regardless of your disability, good medical records are essential to winning your disability case. Make sure you are seeing a doctor at least every 2 months and make sure to take your prescribed medication. We represent clients throughout the state of California. Some of the cities that are served by our offices in the Southern California area include: Bonita, Carlsbad, Chula Vista, Coronado, Del Mar, Downtown San Diego, El Cajon, El Centro, Encinitas, Escondido, Imperial Beach, La Mesa, Lemon Grove, Mission Valley, National City, Oceanside, Poway, Ramona, San Diego, San Marcos, Santee, Solana Beach, and Vista.